After hedge fund managers experienced the most disappointing first quarter returns since the financial crisis erupted, they have sensed a new opportunity. This surrounds the vote today of Britons deciding whether to leave the European Union or remain in an institution they intensely dislike. The run up to this vote, and the potentially unsettling outcome and aftermath have created the kind of market turbulence that these managers use to make money. This is not some remote possibility vote either. French insurance giant Axa’s Henri de Castries the Chief Executive Officer stated just last week that there is actually an “extremely high” possibility that the British will vote to leave from the EU. All over Europe the big traders, banks, and hedge funds have been busy making preparations for tonight. Barclays sent some employees home to rest today and brought in sleeping bags for others. JPMorgan Chase reserved hotel rooms near the Canary Wharf offices. Still other traders and banks are providing employees with bunk beds, pizza, sushi, and plenty of coffee. Major investors are preparing for what could be immediate and medium term shock waves that ripple around markets in Europe and beyond. Not since the fall of Lehman Brothers in 2008 have investors witnessed the type of turmoil this vote tonight could produce. Volatility measures may double and currencies swing wildly. Besides the dramatic effects that the pro exit vote would have on Britain, such a vote to depart would “exponentially” boost the potential of the EU ultimately breaking up. This would create numerous opportunities for savvy investors while the values of assets become repriced throughout Europe, per largest publicly traded hedge fund in the world Man Group PLC President Luke Ellis. He sees the effects of a pro Brexit vote being much greater than what everyone is discussing. Ellis feels the second and third order effects will present plenty of investment opportunities. Today and this weekend’s most obvious hedge fund opportunities center around the value of British pound currency. Sterling is sure to see a lot of action either way. If the vote is for Brexit, the pound will drop to its lowest price in over three decades. If it goes against exiting the EU, then the pound is headed towards the highs of the year and possibly beyond, per the Bloomberg economists’ survey. Already in advance of the vote, the volatility of the British pound has roared to its highest levels since 2008 as opinion polls go back and forth between favoring the Leave or Remain camps. Barclays says that $140 billion cash is just waiting for the vote outcome to be invested. A Bank of America survey shows that sidelined cash now is at its greatest amount since 2001. 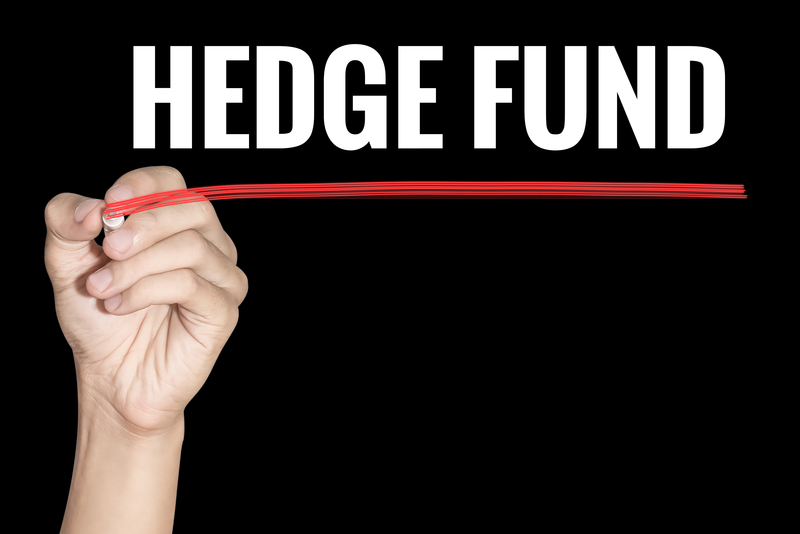 Not every hedge fund manager is ready to take sides. Some of the managers have decided to actually sit the event out. They remember how badly things went in the wake of last year’s Swiss National Bank abandoning its three year ceiling against the Euro. Wrong bets on the Swiss Franc caused the Everest Capital Global hedge fund and its $830 million to be destroyed. The $1.2 billion Comac Capital also was forced to give money back to clients after the traumatic market event. The $2.9 trillion hedge fund industry can not afford another disaster like this now. For the second quarter in a row, more funds have closed down than have started in the first quarter of 2016, per Hedge Fund Research Inc. Investors and institutions charge that the hedge funds have generally failed in their primary duty to safeguard their customers from market volatility. Hedge fund manager Deepak Gulati is founder of $2.5 billion Argentiere Capital AG. He has positioned his fund to make money should the British vote to exit the EU. He noticed that the options market last week has priced in a five percent single day change in the value of the pound. Gulati feels he will profit as both equity markets and euro currency traders across Europe to Japan do not look for these levels of radical price swings. Other money managers see opportunity from a Brexit leave vote in Southern Europe. They believe that investors will go after the region’s weakest financial sectors like those of Portugal, Spain, and Italy. As funds position for this, The index of EURO STOXX Banks is down nearly nine percent so far in June. The Portuguese Banco Comercial Portugues SA has plunged 30 percent, Italy’s UniCredit had dropped over 13 percent, and Spain’s Banco Popolare SC is off nearly 13 percent. Money Manager Stanislas de Caumont of Point72 Asset Management believes a Brexit will cause bonds to rally aggressively, while voting to remain in the EU will cause managers to sell bonds off hard.